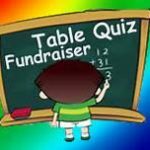 Fundraising – Brighter School, Brighter Future! Over the past few years, we have been thrilled with the upgrades that the library, offices, SEN rooms, reception area, staffroom/kitchen and school gardens have all benefited from, thanks to the significant efforts of the school community. WHAT NEXT? For the 2018/19 school year - we decided that the next step in the in the school’s development is renovating classrooms. WHY? A student’s learning experience is heavily impacted by the classroom design around them. Our teachers already work hard to ensure that classrooms are inspiring, engaging places for our pupils to learn – and we hope to add further to this by painting the rooms, putting new flooring as necessary and reorganising fixtures and fittings. We want to maximize the potential of our rooms even further – and have bright, clean, spacious, flexible spaces, which inspire pupils and teachers alike. WHEN? 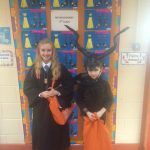 Over the Hallowe'en midterm break of 2018 our 1st Class classroom was renovated. A MASSIVE thank you is due to Vivian Prout, our school caretaker, who worked tirelessly on the project. He was ably assisted by Roger (our cleaner), Lorna and Shirley (our SECAD workers), our former caretaker Martin and other volunteers. So míle buíochas to Vivian and the team! 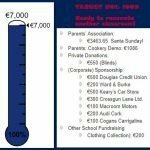 TARGET NO1 €7,000 REACHED IN JAN 2019!! •	Thanks to a private donation, the cost of the blinds €550 has already been covered. Míle Buíochas ó chroí! 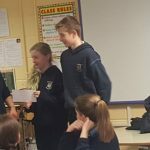 •	The school & local community raised €200 through the Clothing Collection in October 2018. •	Douglas Credit Union kindly donated €500. Míle Buíochas! •	Ward & Burke Construction Ltd kindly donated €200. Many thanks! •	Keary's CarStore kindly donated €500 in December 2018. Go raibh maith agaibh! •	Crossgun Lanes Ltd generously donated €300 was received in December 2018. Thank You! 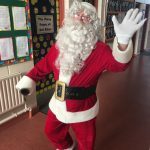 •	Santa Sunday: A massive €3463.65 was donated by our Parents' Association - the proceeds from Santa Sunday in December 2018! Maith sibh! •	Macroom Motors kindly donated €100 in January 2019. Míle Buíochas! 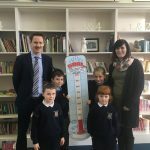 •	Audi Cork generously donated €200 in January 2019. Míle Buíochas! •	Cogans Carrigaline were kind enough to donate €100 in January 2019. Thank You! TARGET NO 2 ..... 51% of the way already! 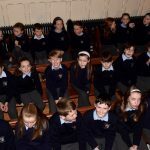 Doyle Shipping Group (Passage West Dockyard) donated €350 to the school in February 2019. Míle Buíochas! - €400 Private donation was received in March 2019. 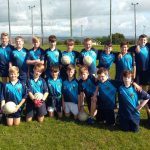 If you would like to get involved with fundraising in the school, or make a contribution in anyway, please don't hesitate to contact the office on 021-4842159. You can also click on the 'DONATE' button below to make a donation through PayPal, or with a credit / debit card. 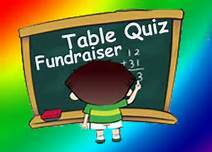 The school is a registered charity (Charity No: CHY7112) and so companies etc. making donations can often claim tax relief against their donation. If you know of any companies interested in making donations to a charity - it might be mutually beneficial! 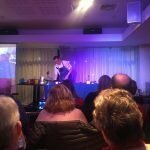 Congratulations to every body who was involved in the organising of the “Entertaining at Home” – Cookery Demonstration, with award winning chef, Mark Doe, last Friday night 25th January, in Monkstown Golf Club. What a wonderful evening, thoroughly enjoyed by all! 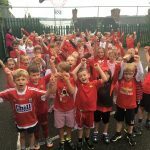 Good luck to Cork in the All Ireland Camogie Championships on Sunday from all in Scoil Barra Naofa! Go n-eirí an t-ádh libh!